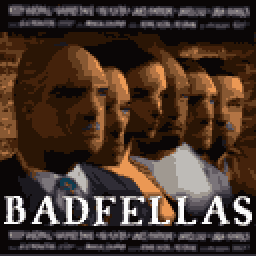 Badfellas is a movie advertised in both Grand Theft Auto III and Grand Theft Auto: Vice City, with the posters visible in the Red Light District of Liberty City and at the InterGlobal Films studio in Vice City. Salvatore Leone appears on the poster. The movie is a reference to the film Goodfellas, which featured Frank Vincent, the voice actor of Salvatore. The next protagonist in the series would also share an actor from the movie, Tommy Vercetti, voiced by Ray Liotta. This page was last modified on 22 September 2011, at 21:24.